... when Henry and Gurden Pierson Ludlow returned to their hometown of Bridgehampton after years of working on a whaling ship in the Bering Sea. 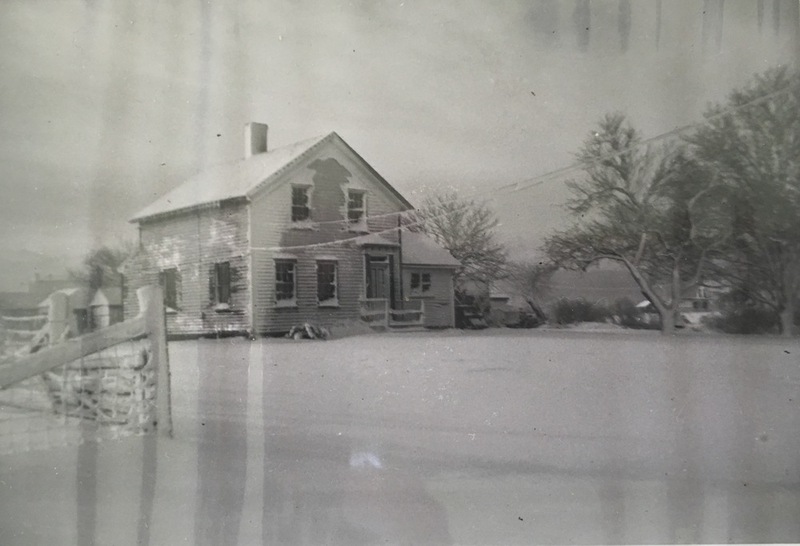 The pair of brothers each bought ten acres of land near Mecox Bay, and Gurden built the house that would become the Mecox Bay Dairy farmhouse – home of his great-grandson and current owner, Art Ludlow. Henry built his house next door on Horsemill Road. The brothers served as caretakers for the Bascom Estate on Mecox Bay during this time, farming primarily for themselves and their families. Gurden and his wife Betsey Hedges Ludlow had two children: Leila (b. 1881) and Henry (b. 1886). Leila would live to be 106, and is still remembered fondly by her grand-nephew, Art. It was Gurden’s son Henry whose passion for farming fueled the current generation of Mecox Bay Dairy landowners. Henry became a full-time farmer, building the dairy barn and growing potatoes, a famously productive crop on Long Island. Harry married Helen Rogers, a neighbor from Sagaponack whose father owned a boarding house. Helen inherited half the boarding house at her father’s death, and in December of 1913 it was moved across the ice on Sagg Pond, rolled on logs under workhorse power. The deed for this sale is still framed in the house where it now sits, next to Mecox Bay Dairy on Mecox Road. Henry and Helen had three children: Mary, Gurden, and Betsey. Henry added to the original farm by adding a 30-acre lot (for the then-astonishing amount of $1,000 an acre!) and land on the bay. When, in his early 50’s, Harry injured himself on a piece of equipment and died from blood poisoning, his seventeen-year-old son Gurden inherited the farm. Gurden married Marjorie Mesier ‘Sigit’ Reese in 1948 and moved into the family farmhouse. Gurden’s Aunt Leila moved next door into the boarding house with her sister-in-law, Helen. BARN BURNING A tragic fire destroyed the Ludlow dairy barn in 1960. Art still remembers waking up in the middle of the night on New Years Eve, thinking he saw daylight outside his bedroom window. It was, in fact, the bright burning flames igniting the barn next door. Sparks from the stove placed in the barn to keep the potatoes from freezing started the blaze. A neighbor saw the barn burning, but the harsh north-westerly wind blowing that night kept the firemen from hearing the whistle alarm. A phone chain finally alerted the fire brigade, but when they arrived the water pumps were frozen and it was too late to save the barn, the potato crop, or the family cow, all inside. The main house was saved only because of the strong winds, but flames crackling at the outside walls came so close that paint was bubbling. The calf barn, also saved because of the winds, was moved to its current location but the charred wood on the side of the building remains as a lasting reminder of the disaster. Marjorie and Gurden had four children: Claire, Harry, Art and Betsey. Art grew up milking cows, growing corn, filling silos and harvesting potatoes – a full array of the region’s traditional farming activities. As demand for potatoes increased, Gurden decided to focus only on potatoes and sold the dairy herd, replanting the cornfields with several varieties of famous Long Island potatoes. 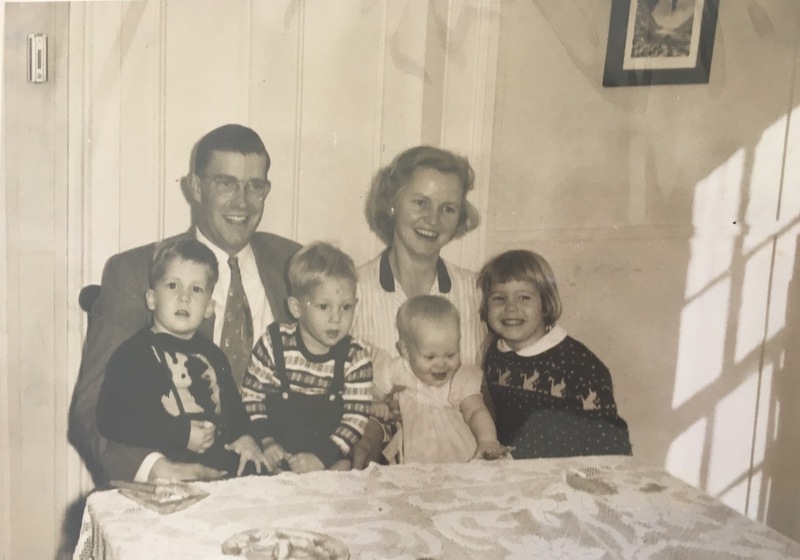 After attending Cornell Agriculture School, Art married Stacy Higgins and they set up their home in the very house in which Art and his brother were born. Over the next 40 years, Art and his brother Harry each followed their own passions, dividing the farm property between them. Today, Harry continues to work the land for vegetables, selling his crops under the Fairview Farm name. Art took a different path, and together with his wife Stacy chose to revive his childhood passion of raising dairy cows. Stacy’s family cow, Nora, inspired them to make cheese out of the excess milk they were producing, and sparked the idea for a full-scale dairy. Art turned the old potato barn into today’s dairy, home to two-dozen milking cows and the Mecox Bay Dairy cheese-making operation. Art made his first cheese in 2003 and stored it reverently and hopefully in the barn’s aging room. Later that year, he sold his first cheese at his brother’s farmstand next door – the following year Mecox Sunrise took 2nd place in the American Cheese Society national competition! Today, the long tradition of farming the land at Mecox Bay Dairy is carried on by Art and his two sons, Peter & John. Pete is a graduate of Vassar College, where he studied Music (he is a talented piano player, and in addition to his duties on the farm he is also the organist at St. John’s Church in Southampton.) After graduating, Pete moved back to Bridgehampton to work at the dairy. His impact on the daily routine and management has been profound– his first contribution was to make the farm wholly self-sufficient. He now plants, grows, harvests, and processes all feed for the animals on the farm, making the dairy sustainable and its fertile land even more productive. 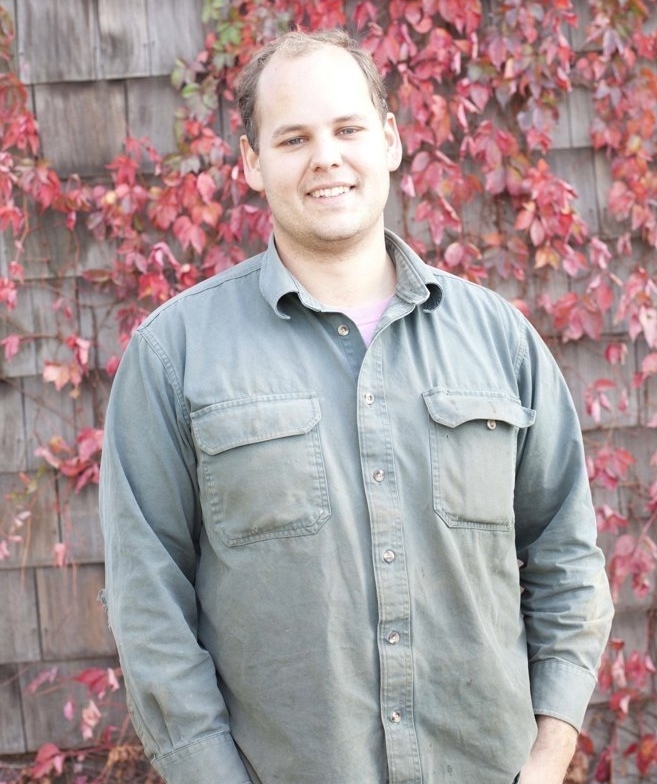 John, also an accomplished musician, is Mecox Bay Dairy’s cheesemaker. In addition to hand-crafting each wheel of cheese, John is responsible for conducting quality control on all outgoing orders. The Ludlow family is, as ever, steadfastly committed to the time-honored tradition of sustainable, ethical farming and appreciation for the unique landscape on which Mecox Bay Dairy was founded. At Art's 2nd birthday, 1953. Stacy & Art's wedding, 1984. Pete on the farm, 2015.